If you’re in the sports or sporting industry, we do basic and bespoke deal tombstones and awards that are perfect for commemorating any success within your team or company. 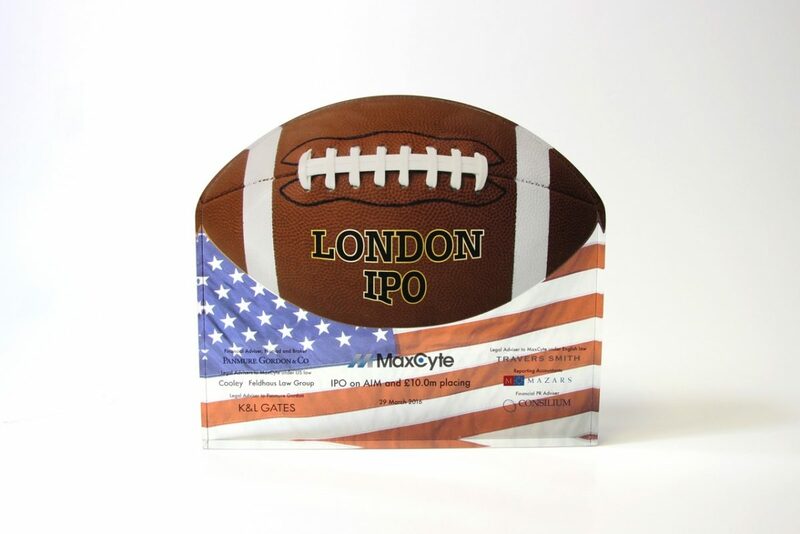 With over 30 years of experience in designing and manufacturing deal toys and tombstones, we have worked with various companies within the sporting industry, creating products for a whole range of sports. Browse through the gallery below and see our collection of basic and customisable deal toys, as well as some of the bespoke deal toys for our clients.